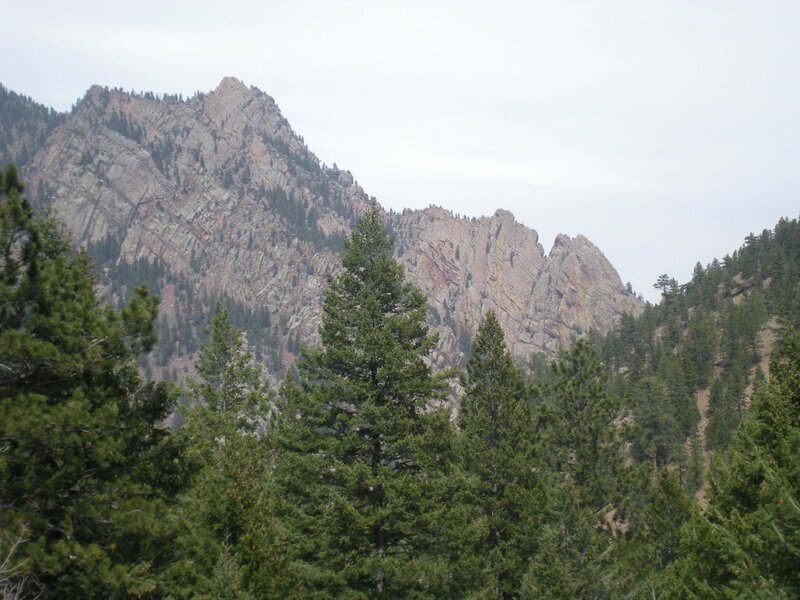 I’m going to make it a point to get back up to Eldorado Canyon State Park this summer to do another couple of hikes. I was there just this past week with a friend and a visiting journalist from Germany to do a hike and I really enjoyed it. But one hike in there seemed to be just the tip of the iceberg. The road in the canyon went back so far that I know there were several other trails in there to go on. And really, we never even totally finished the trail we were on to a Continental Divide overlook or on up still on the Rattlesnake Gulch trail. The farthest we made it was an additional 600 feet up in elevation to the ruins of the Crags Hotel, which was built in the canyon in 1908. The website says that the hotel was accessed by an inclined railway until 1913, when it burned down, but my friend read on the trail that there was a paved road that lead people up to the hotel from the canyon floor. Either way, it must’ve been a great place to stay. The trail itself was moderately difficult, requiring me to stop for a breather a few times since it just kept going up, with really no flat points to catch my breath, but it wasn’t bad at all. The views on the trail were very nice, offering a bit of the canyon and a lookout to the eastern plains. The hikes deeper in the canyon, near the visitor’s center, I’m guessing are quite different though, which creates my desire to go back and experience a few more this summer. Thankfully it’s a quick and easy drive from Denver for me, making it a great day getaway for a few hours of fresh air, exercise and possibly even a picnic.